Tor works closely with the Sussex Wildlife Trust Board and Senior Management Team to make sure that the strategic aims of the organisation are delivered. 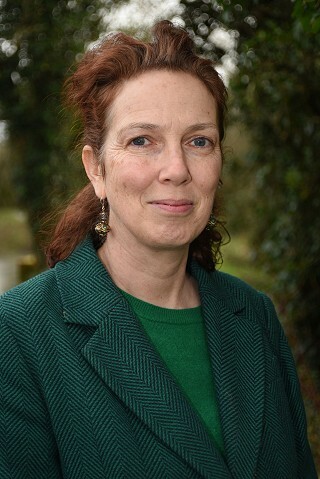 She has previously held a number of senior management positions, in the South Downs National Park Authority, London Wildlife Trust, Sussex Community Development Trust and East Sussex County Council and has worked as a consultant for the National Trust and the Woodland Trust. "I've been visiting Rye Harbour Nature Reserve for many years in a personal capacity, and it's a beautiful place. 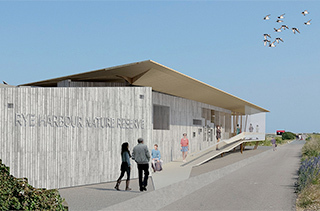 My priority since taking up the post of CEO in June 2018 has been overseeing the development of the Discovery Centre, as well as supporting the Trust's partnership with the Friends of Rye Harbour Nature Reserve." Pete is passionate about the idea that nature shouldn’t be confined to nature reserves. He and his team work with schools and communities to help people connect with and understand wildlife. He feels the Discovery Centre will broaden the appeal of the reserve to those who are visiting, not as naturalists, but because they like being outside. "It will mean we can support more educational visits, and schools will be able to visit for the whole day. We can offer new opportunities to learn about the reserve and wider wildlife issues. 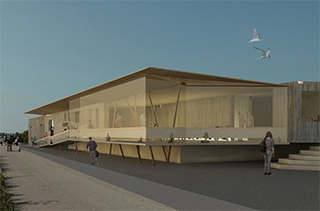 Beyond it being a visitor centre on a nature reserve, we hope that it becomes a community hub for Rye Harbour." 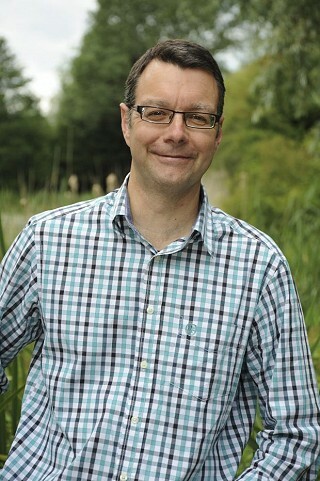 Henri manages conservation activities outside Sussex Wildlife Trust's nature reserves. She also leads the Sussex Biodiversity Record Centre and manages the Living Landscapes and Living Seas team. 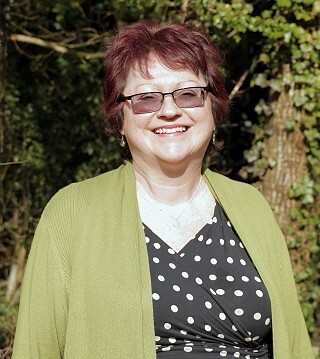 She is passionate about working together with other agencies and organisations towards creating a healthier, natural environment in Sussex. "Rye Harbour Nature Reserve is a vital wildlife hub for the wider landscape of the Romney Marshes and the Rother and Brede floodplains. By understanding the wildlife of Rye Harbour, the value of a healthy landscape both here in our corner of South East England and beyond cannot be underestimated." 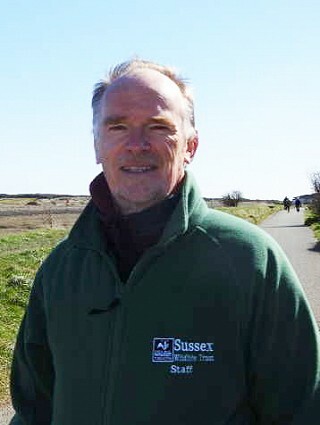 Barry has been Reserve Manager of Rye Harbour Nature Reserve since 1984 and, in that time, has developed several landscape scale projects. He feels the Discovery Centre will make the reserve a more welcoming place all year round for visitors, volunteers and staff. In 2000, Barry discovered a new, previously unknown fly on the reserve that bears his name - Megaselia yatesi. 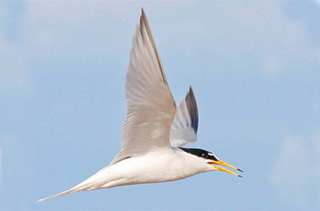 Before coming to Rye Harbour, Barry studied breeding wading birds in Lancashire, Sutherland and Shetland. He manages the Rye Harbour Village image library. 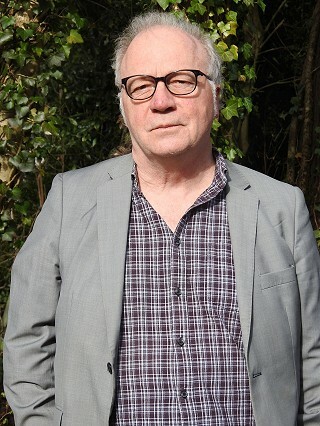 Steve Gilbert is an environmental consultant, working with the Sussex Wildlife Trust to help make the Rye Harbour Discovery Centre a reality. His role involves liaising with a wide range of interested parties, from the Trust’s own staff to the contractors building the Centre, to ensure that everything happens according to plan. Steve has worked in the environmental sector for 30 years, most recently as a conservation manager with the RSPB’s South East England team. Emma is a former journalist and editor, and manager of community projects which supported people with mental health challenges, physical and learning disabilities in outdoor settings. 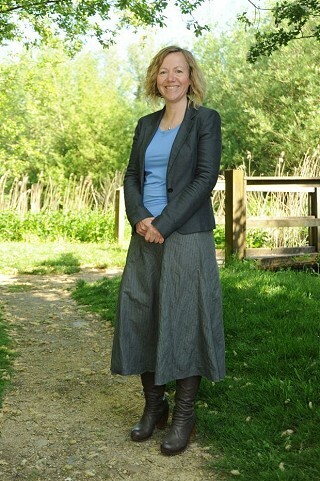 Her Sussex Wildlife Trust work supports communications in relation to the Discovery Centre project and Rye Harbour Nature Reserve in general, involving articles, blogs, press releases, and social media posts. She also updates the Discovery Centre Appeal website. "I'm delighted to be involved with a project which will support all visitors to the nature reserve, all year round."